Custom homestead with all the stops! This 155 acres offers bluff views, organic gardens and fruit trees, more storage than imaginable, pool, privacy and an abundance of wildlife. This is a once-in-a-lifetime opportunity with modern day conveniences.Over the river and through the woods to Dancing Fern we go! Preppers, hunters and organic gardeners, oh my! Tasty natural spring water feeds the property so you will never have a water bill! As you drive to the end of Dancing Fern you will see a custom 3,856 sq. ft. Majestic Log Cabin with a double grand entrance door fit for a castle. Surrounded with mature trees, organic gardens, fruit trees and professionally landscaped will have all of your friends jealous of your mountain paradise. 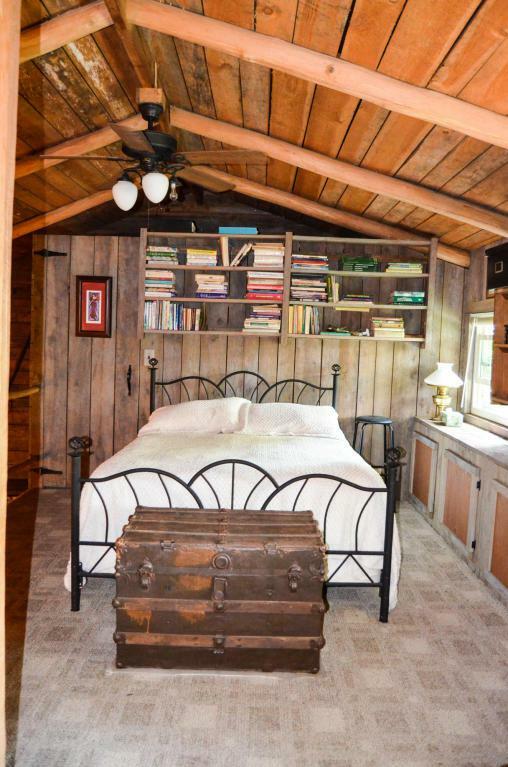 The cabin was built from timber and mountain stone from the property. Storage, storage, storage! Every room offers an abundance of storage! With the possibility of 4 bedrooms and 3 bathrooms, this cabin offers enough room to house your friends and family. Outside, you will find even more storage with a pole barn, generator shed with an attached 500 gal. tank and gardening sheds. Everything you need to live off the grid but with so many extra amenities! It's nestled perfectly on 155 acres with incredible mountain views. Deer, turkey, and rabbits are abundant. Privacy is of utmost importance so don't worry... no one will see you in the 30 ft. above ground pool! Food plots are established for the deer and the basement is ready for your summer harvest. There is even a commercial steel door to take shelter. 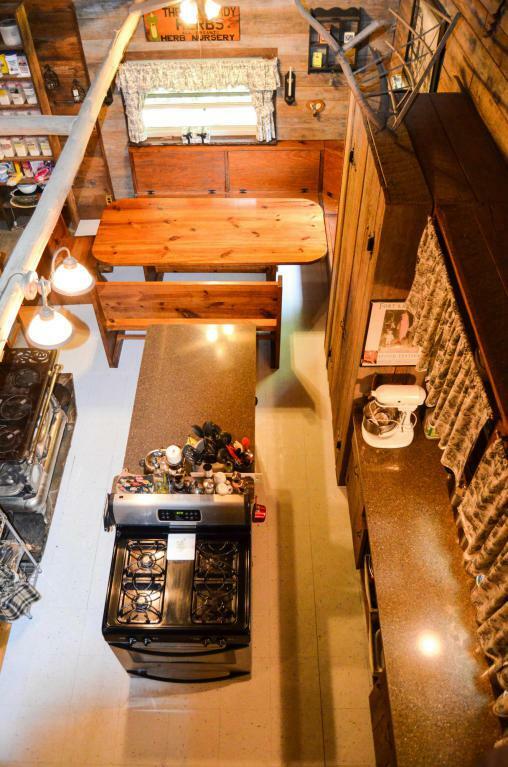 There are several decks to entertain or relax outside, listening to the Little Sequatchie River from below. A sunroom is located in the back of the cabin to enjoy the views and nature on rainy or chilly days. 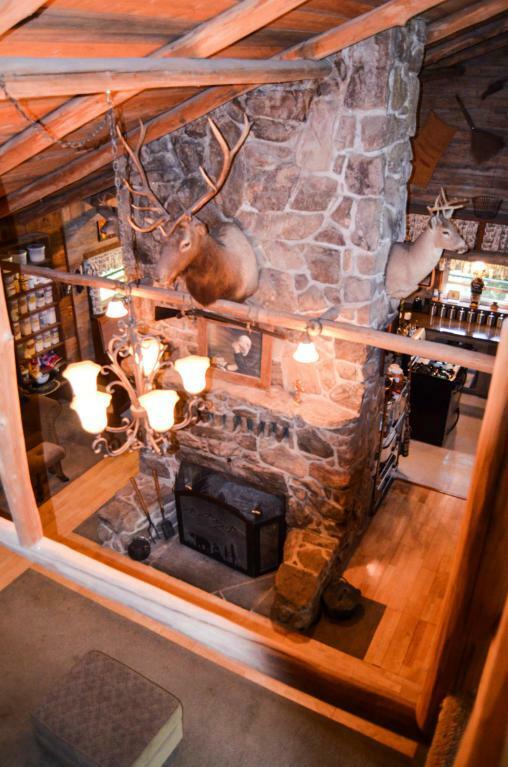 It's a true mountain retreat, come on in and have a seat! 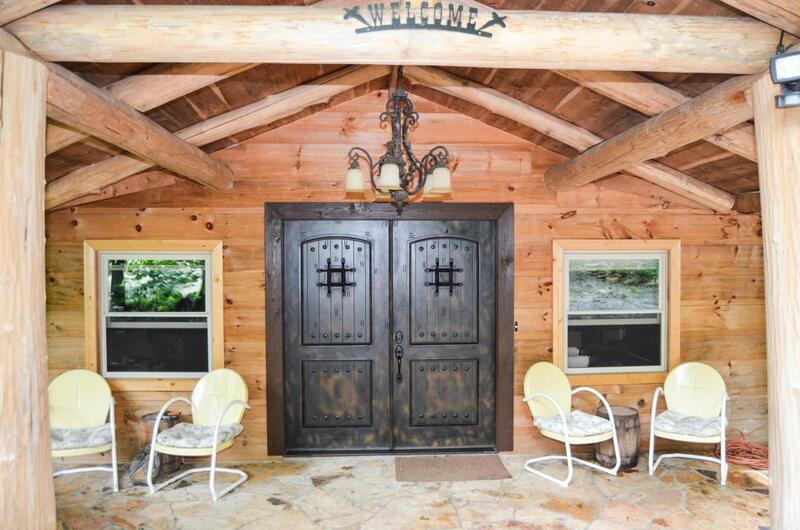 Listing courtesy of Tennessee Mountain Properties. © 2019 Chattanooga Association of REALTORS®. INFORMATION DEEMED RELIABLE BUT NOT GUARANTEED. The site does not contain all listings available through the MLS. Keller Williams Realty does not display the entire MLS of Chattanooga, Inc. database on this website. The listings of some real estate brokerage firms have been excluded. IDX information is provided exclusively for consumers' personal, non-commercial use and may not be used for any purpose other than to identify prospective properties consumers may be interested in purchasing. Data is deemed reliable but is not guaranteed accurate by the MLS or Keller Williams Realty. This site was last updated on 2019-04-23T19:08:38.83.